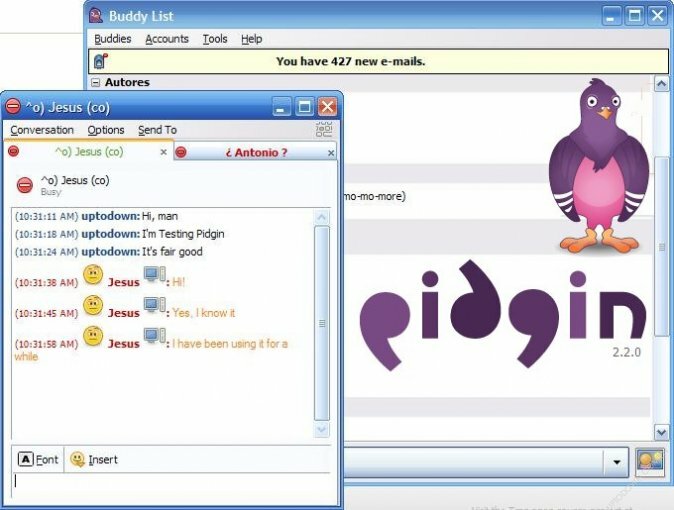 Pigdin is an Internet Messenging (chat) client that enables you to chat with others in real time using any supported network, including AOL Instant Messenger, MSN Messenger, Yahoo!, IRC and Jabber. 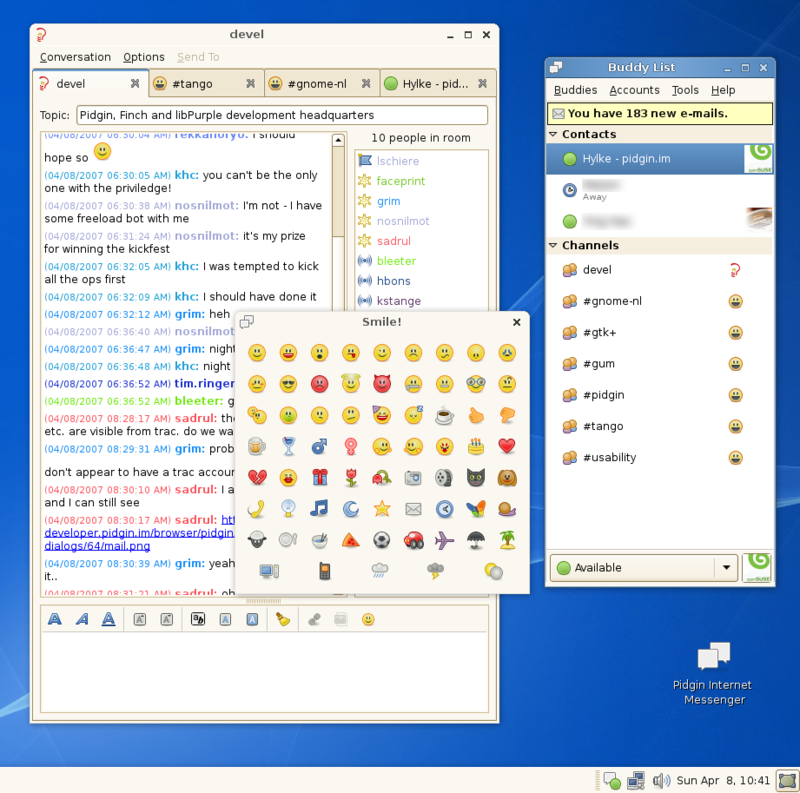 Pigdin can be simultaneously connected to several networks, so if you have contacts on different networks you can talk to them all at the same time, from one easy to use program. Pidgin uses the GTK+ library which is also available on OpenDisc. Because it won't work without it, ensure you install GTK+ first.